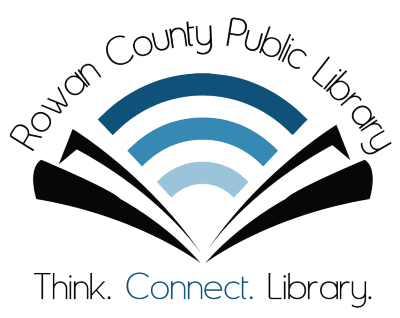 Your Rowan County Public Library offers several spaces for public, professional, academic, or personal use. We can accommodate all sorts of needs, from business meetings to baby showers or birthday parties, and your fees go directly to supporting the library! As long as your activities are not for profit, you’re welcome to reserve any of our available areas in one- to two-hour (1-2) blocks. If you’d like to use one of our rooms, just give the library a call at 606-784-7137 and ask to speak to our reservations specialist, Marilyn, about scheduling and payment arrangements. There are two (2) quiet study rooms in the library, located in our children’s area. Each room is equipped with an HDMI-capable TV and a dry-erase whiteboard; markers and erasers for the whiteboard are available at the front circulation desk upon request. Study rooms can seat up to six (6) persons. Our conference room is ideal for seminars, presentations, or business gatherings of 14-20 persons. Featuring a ceiling-mounted HD projector, table-inset power outlets, and a kitchenette area with sink, storage, and refrigerator for professional luncheons, the conference room is located off the atrium near the front circulation desk. Reservations for this room are $30.00, plus a refundable $30.00 deposit. Patrons are responsible for following the provided rules regarding cleanup of the room; failure to adhere to these policies may result in forfeiture of your deposit. Your Rowan County Public Library is proud to offer a dedicated space for meetings and activities in our community room, located to the left of the entrance in our vestibule, just past the public restrooms. This area has a capacity of up to 40 persons, but can also be separated into halves with a divider for smaller groups or to accommodate multiple simultaneous reservations. From here, you can access our community warming kitchen for events that include food and drink, and each side of the community room has its own ceiling-mounted HD projector. Reservations for this room are $30.00, plus a refundable $30.00 deposit. Patrons are responsible for following the provided rules regarding cleanup of the room; failure to adhere to these policies may result in forfeiture of your deposit.